Corn continued to track sideways again this week and remains confined to a triangle channel. We are in a $3.60 – $3.80 range and may continue to track that way until we break above or below these two levels. The intermediate indicators remain positive and a challenge of the $4 level seems imminent in the coming months but the primary trend remains down. Soybeans are starting to look positive as we received a daily buy signal this week. This, of course, is a daily signal meaning it can change quite rapidly. For the time being, we are in a positive formation with resistance at the $9.30 – $9.45 level on the March contract. A close above this level would be very positive for soybeans going forward. We are looking at an ascending triangle pattern which is usually a precursor to building momentum. Our first real test is a close above this $9.40 level which should set us up for a challenge of the more important $10.80 wall. A convincing close above there could finally turn this six-year-old bear into a full blown multi-year bull market that we have been anticipating. Short-term indicators are now neutral while the primary trend remains down. The support line is at $9 on the March futures and resistance remains at the $9.40 level. Wheat tracked sideways this week on the market and we are still seeing resistance at the $5.35 level on the March futures. If we close above there, we open the door to a more substantial target of $5.40 which is the December high. We now have our support line well established at the $5 mark on the March futures and our overhead resistance stands at the $5.40 level. We need to stay above the $5 support to keep the positive tone in the futures. I would be looking for higher prices in the spring. All indicators are neutral to bullish. 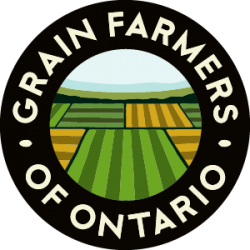 Starting on February 6, 2019, Grain Farmers of Ontario will be hosting online webinars for those interested in learning how to utilize futures and options for hedging purposes in most agricultural products. These webinars will be hosted by myself. 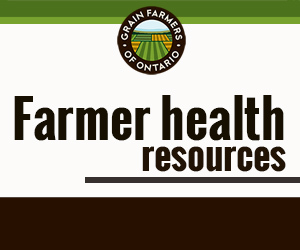 You can call me directly at 519-767-4123 or signup online at https://gfo.ca/event/grain-marketing-webinar-intro-to-futures/. 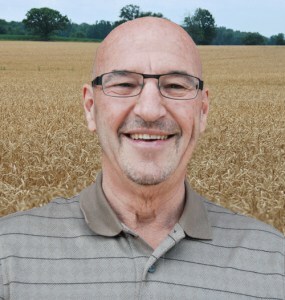 HRS @ $237.91/MT ($6.47/bu), SRW @ $240.34/MT ($6.54/bu).